Asbury Park is not different from Seattle and many cities in the US in fear that multi-modal streets will snarl traffic. In our car-centric culture we’ve become used to responding to more traffic volume with wider roads to carry more cars, which only creates more demand and on, and on. 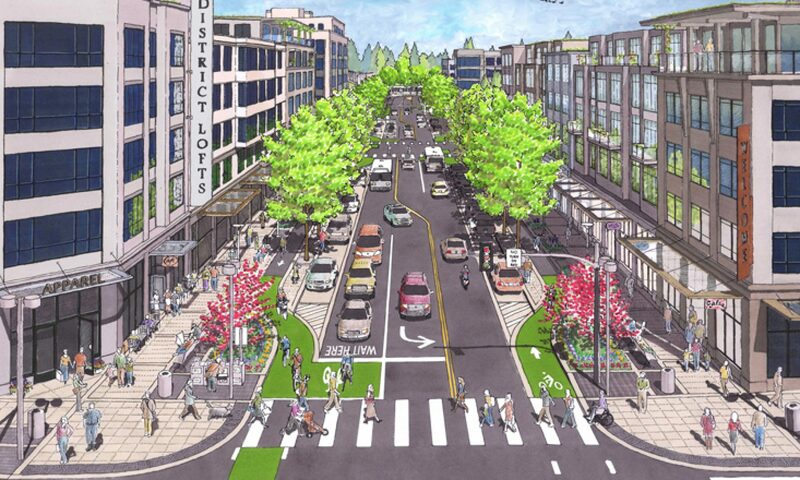 Check out the graphic demonstrating that a car-oriented, wider street does not allow more capacity. Truck Crash on Freeway Paralyzes Traffic. Seattle Times: Ditch the Bike Lanes!